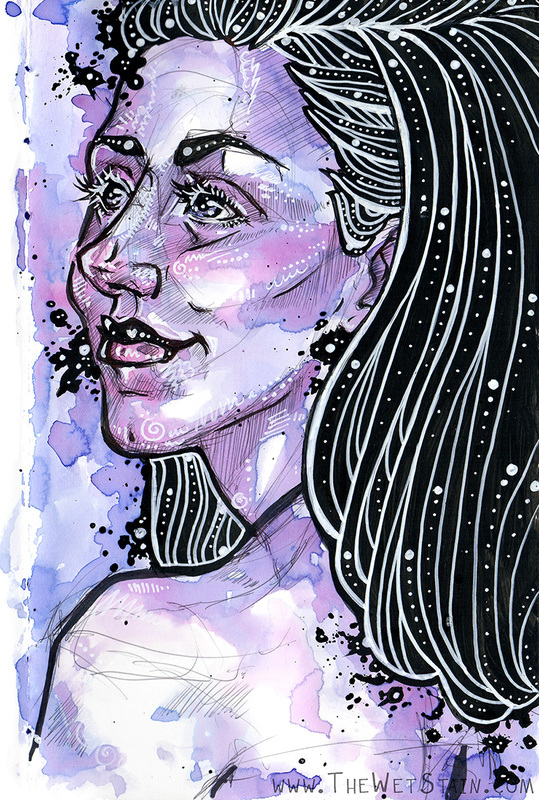 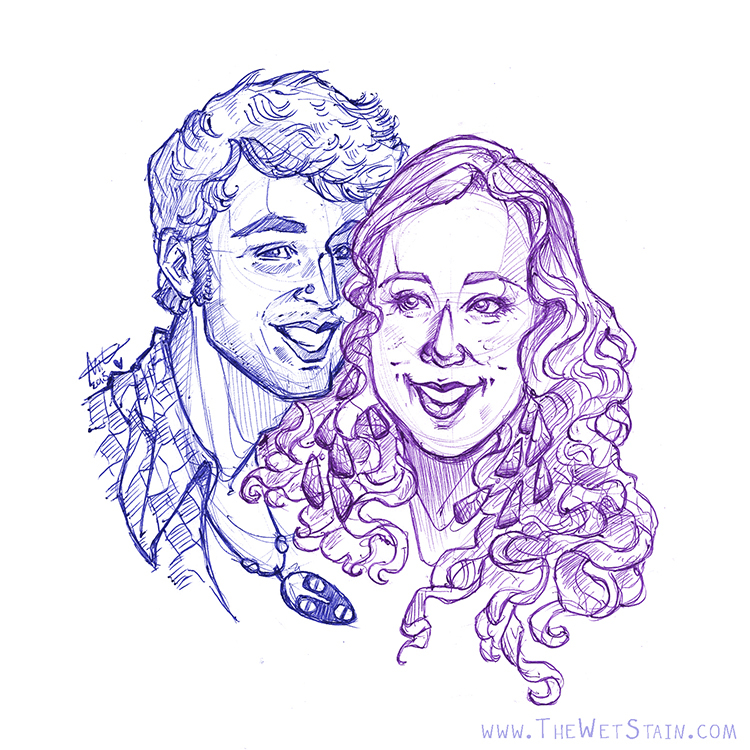 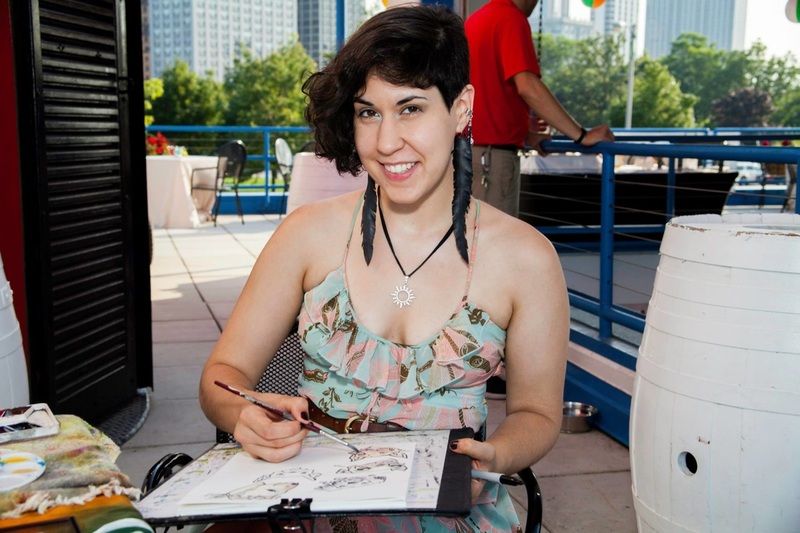 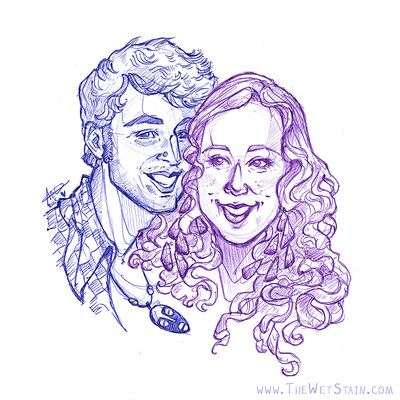 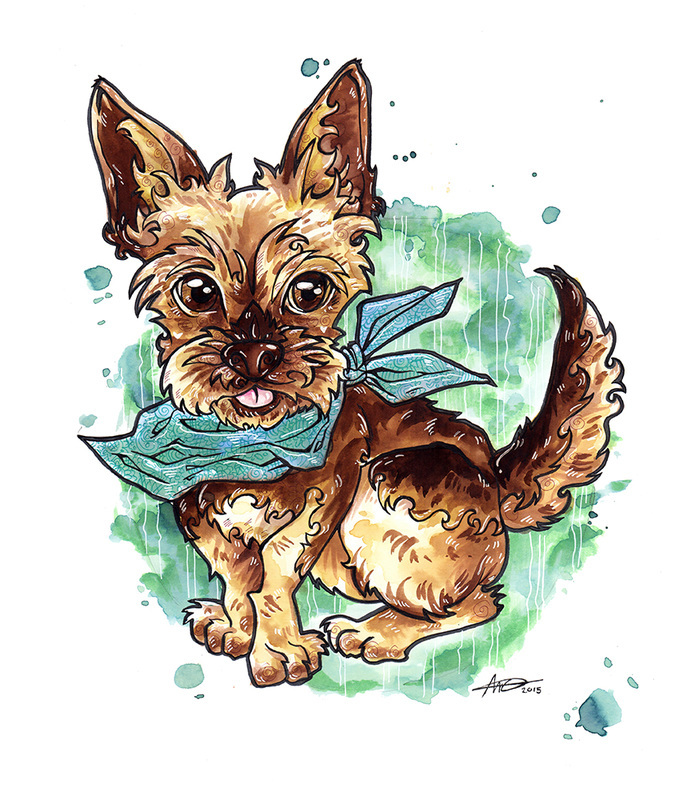 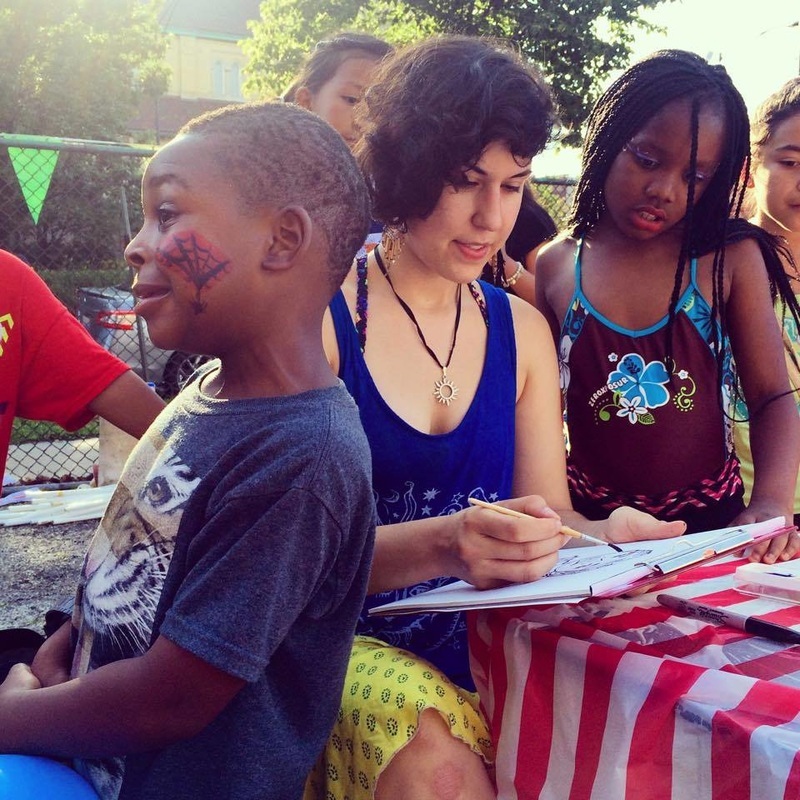 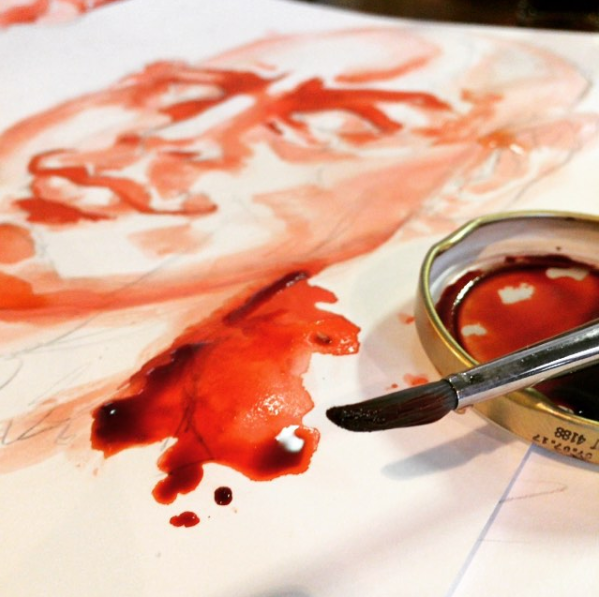 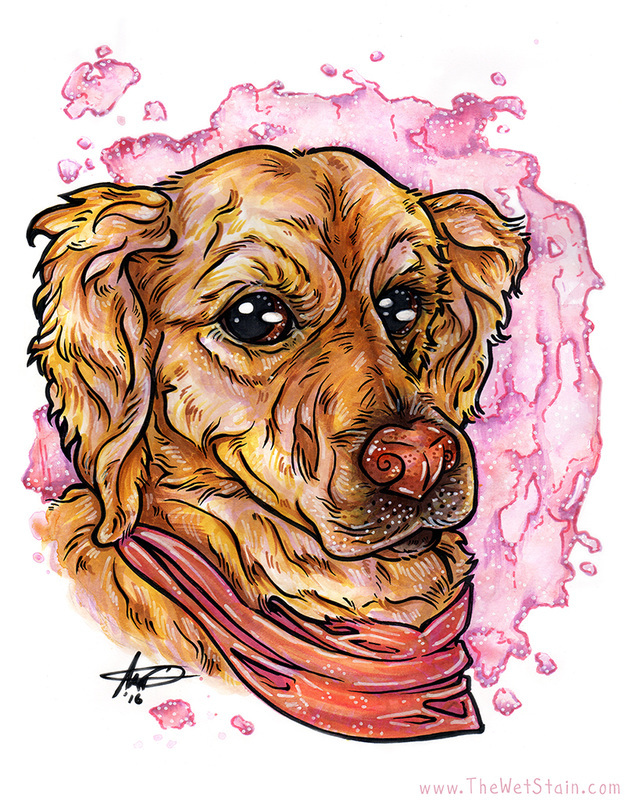 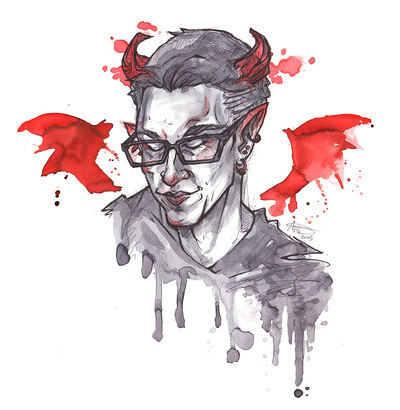 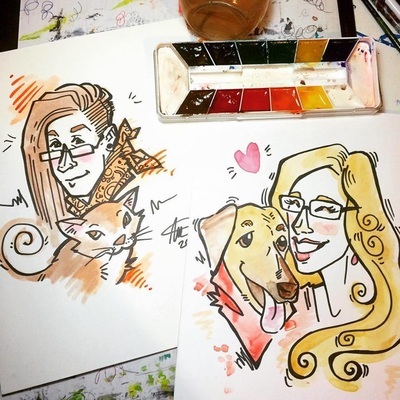 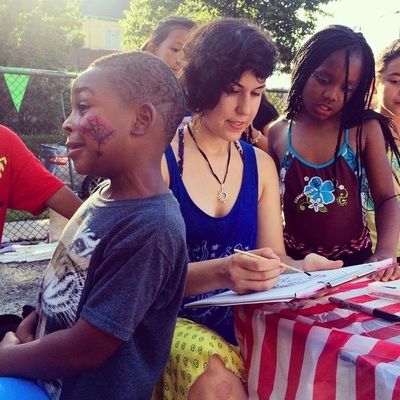 Welcome to the online home for watercolor portraits, comics, children's book illustration, caricatures by Chicago artist, Ali Cantarella. Samples of sequential work, comics, and illustration can be found here. High end watercolor portraits, with a whimsical twist and generous interplay of abstract color and detailed line. 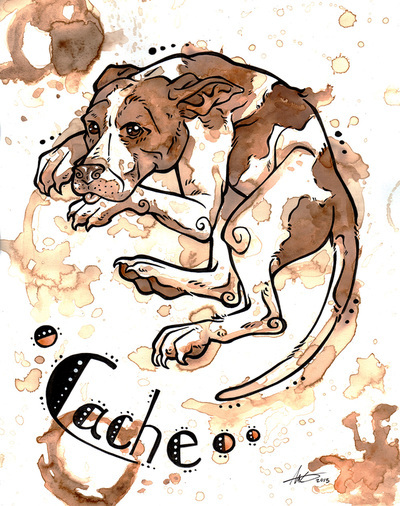 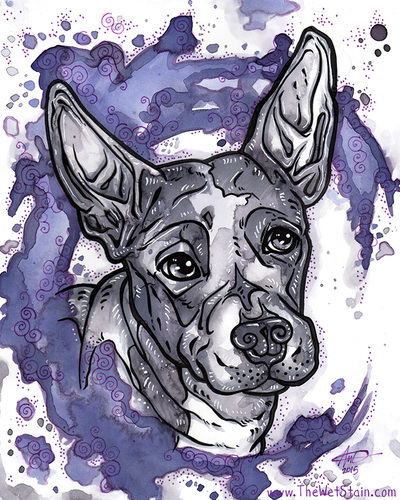 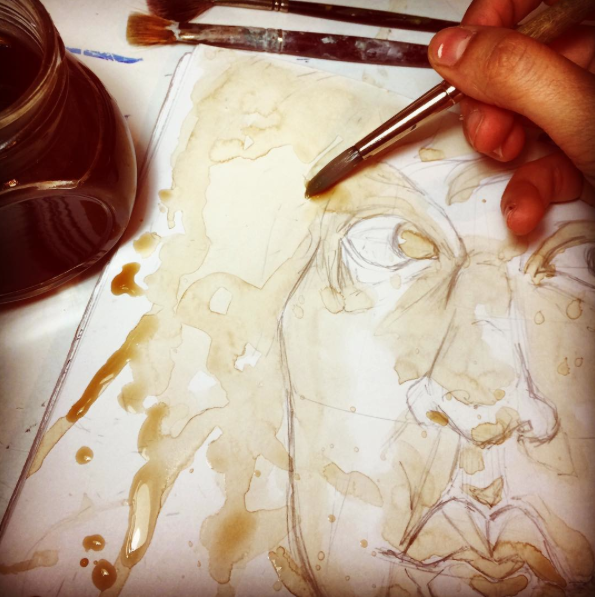 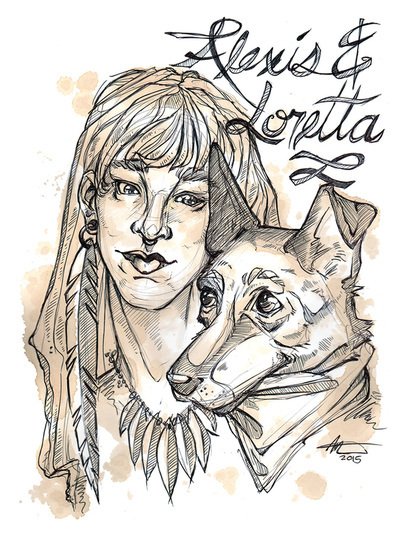 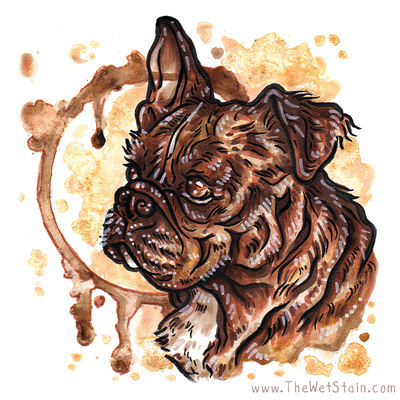 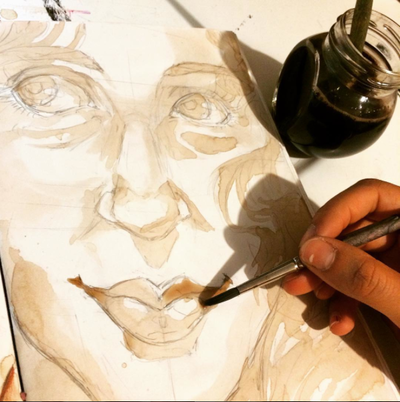 Coffee, tea, and ink can all also be used to artistically emphasize the subject of these portraits, both human and animal! 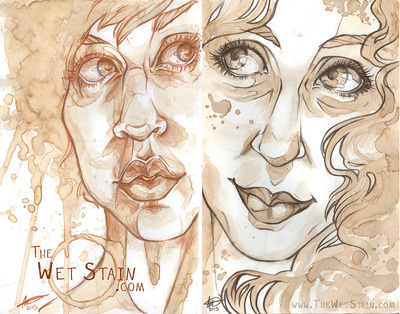 Sketched on 11 x 14 smooth Bristol, these portraits are organically drenched, splattered, and spilled with the color stain of your choice, then detailed with colored inks and pencils to bring out the stylized features of each unique subject. 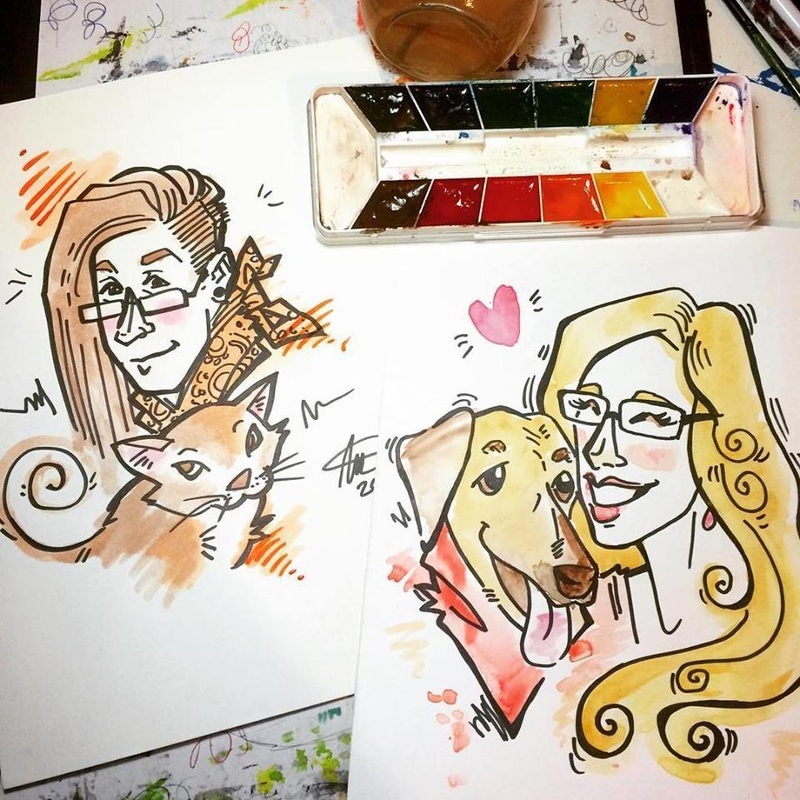 Inspired from your photo reference, they are shipped out as Original Artwork, along with an additional 100 DPI image for social media use. 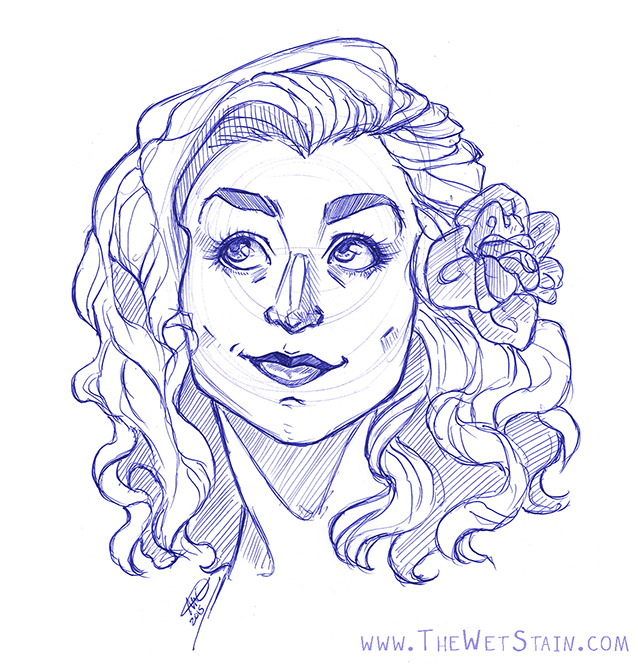 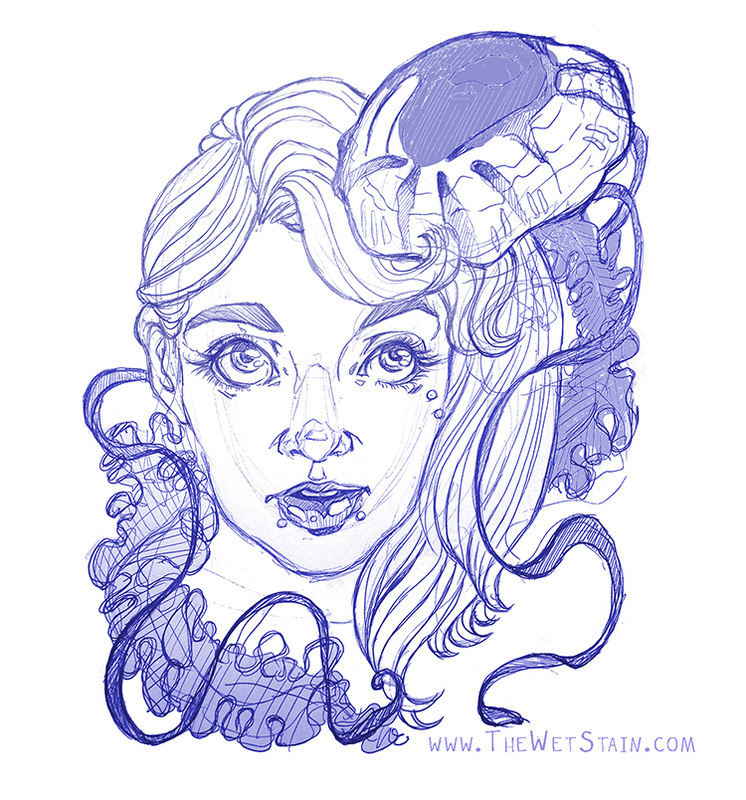 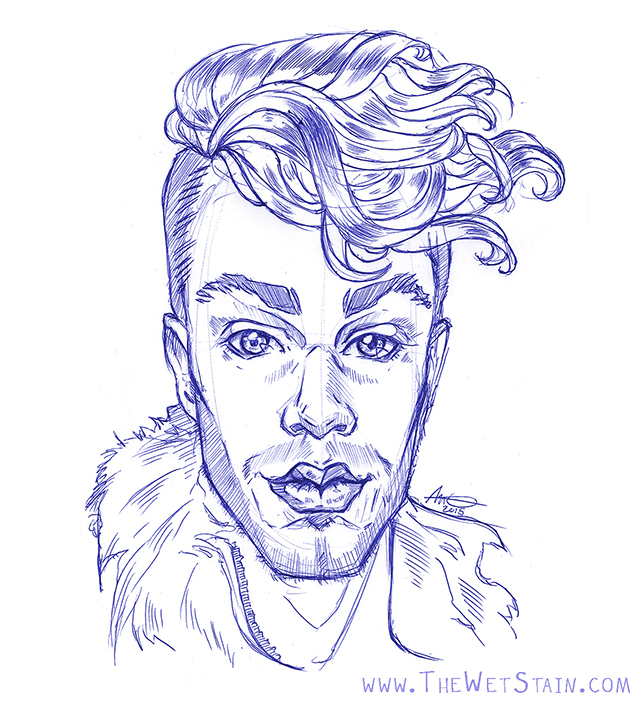 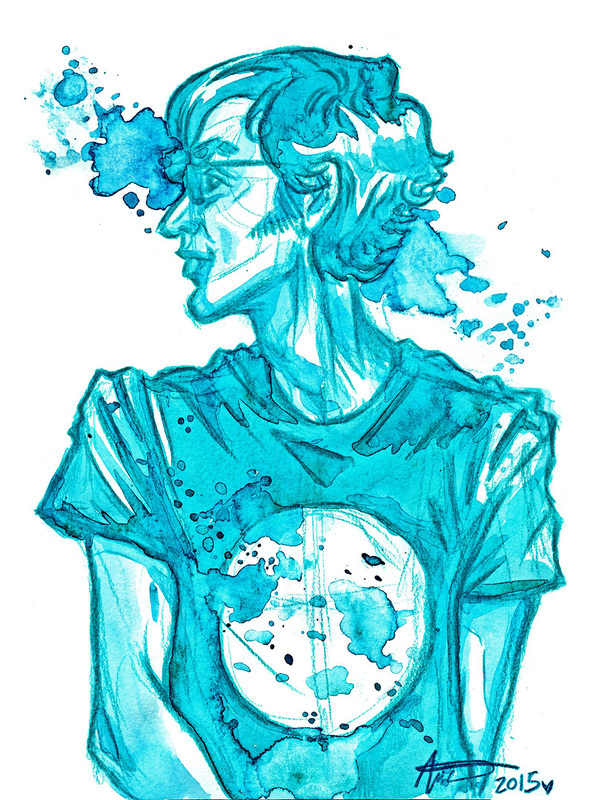 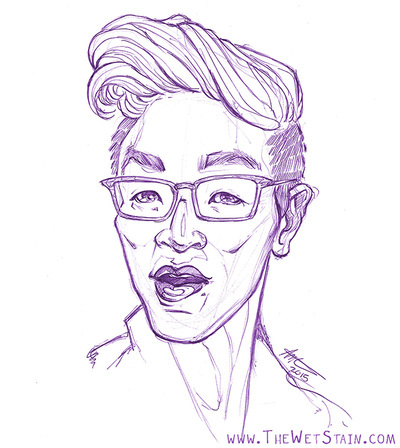 These portraits are organic, stylized illustrations done 100% in blue (purple, green, or red!) Bic brand ballpoint pen! 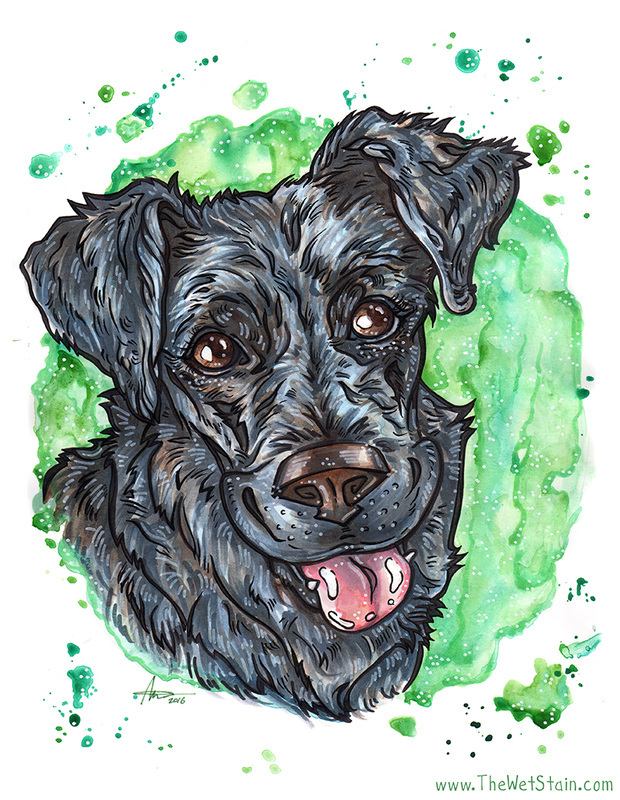 They are completed from photo reference provided by the client, and and are shipped as Original Artwork on 8.5" x 11" paper, along with a 100 DPI image perfect for web display. 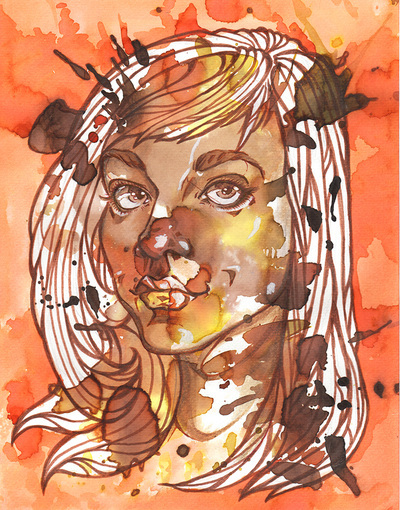 The perceived effortlessness and playful stylization results in a swoon-worthy image perfect for any display! 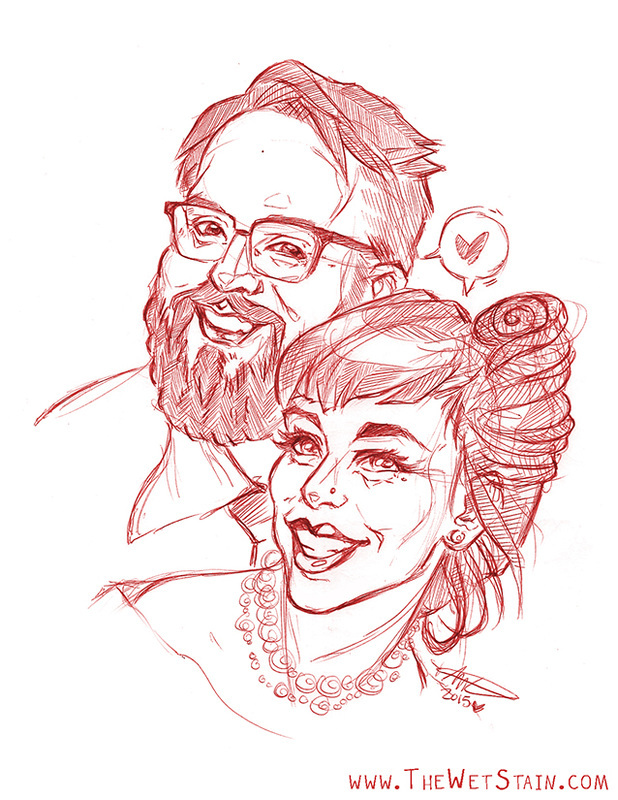 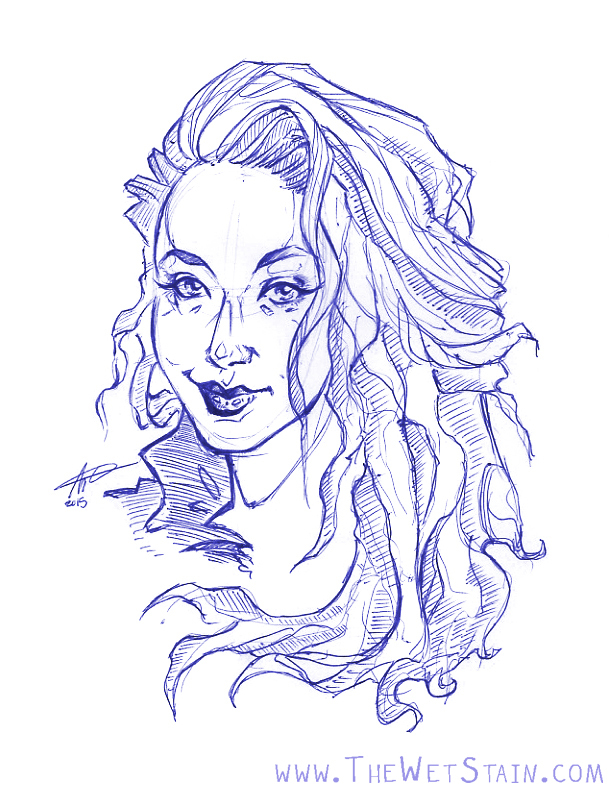 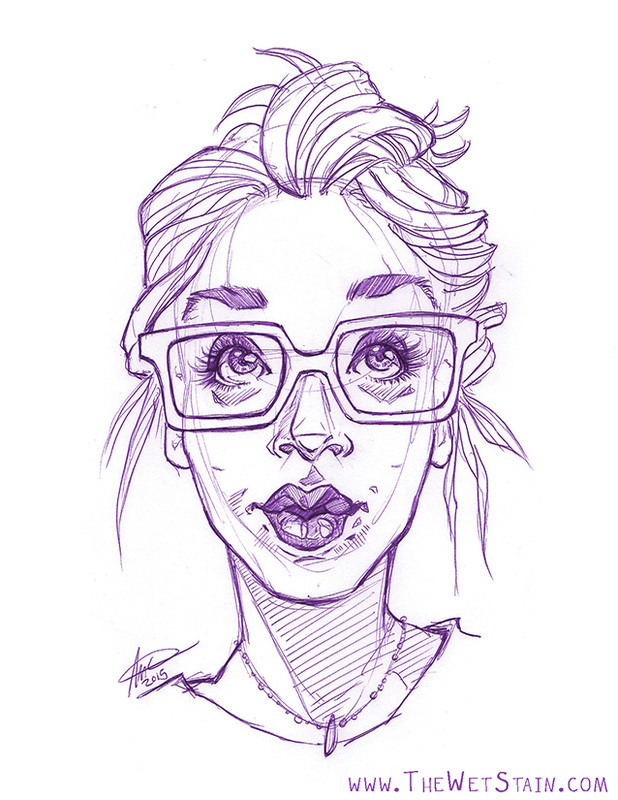 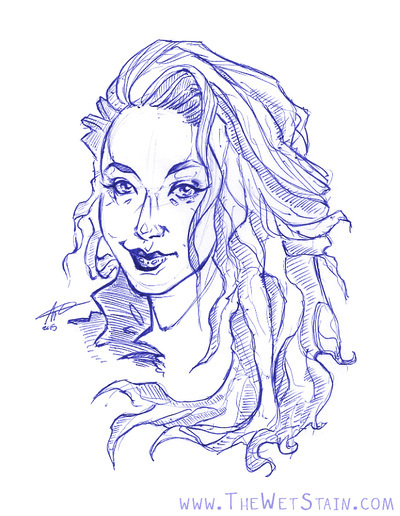 Please contact me directly at Cantarella.Ink@gmail.com to get started with a subject of "Ballpoint Pen Portrait Request", a short description of your request, and any photo references. 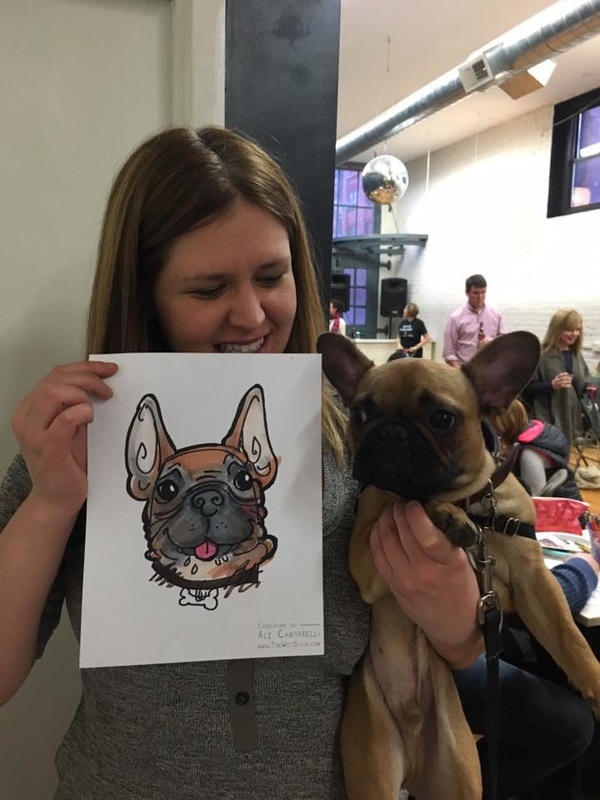 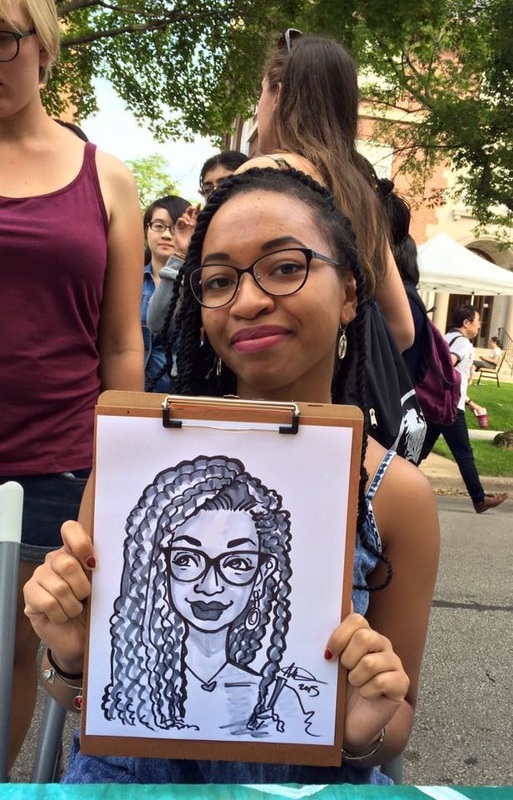 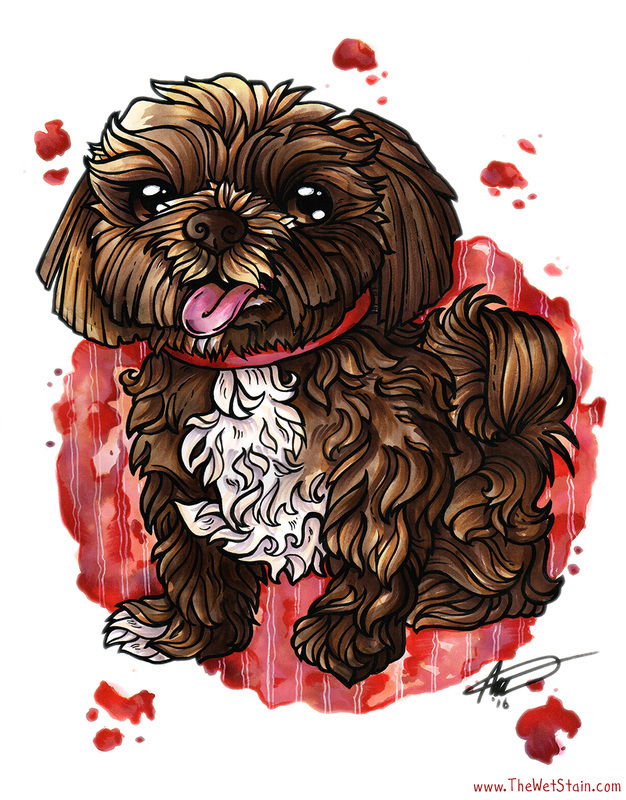 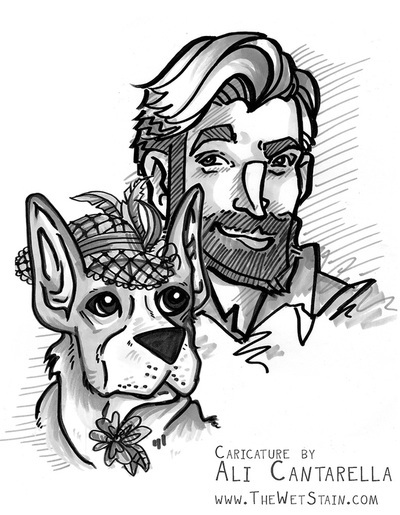 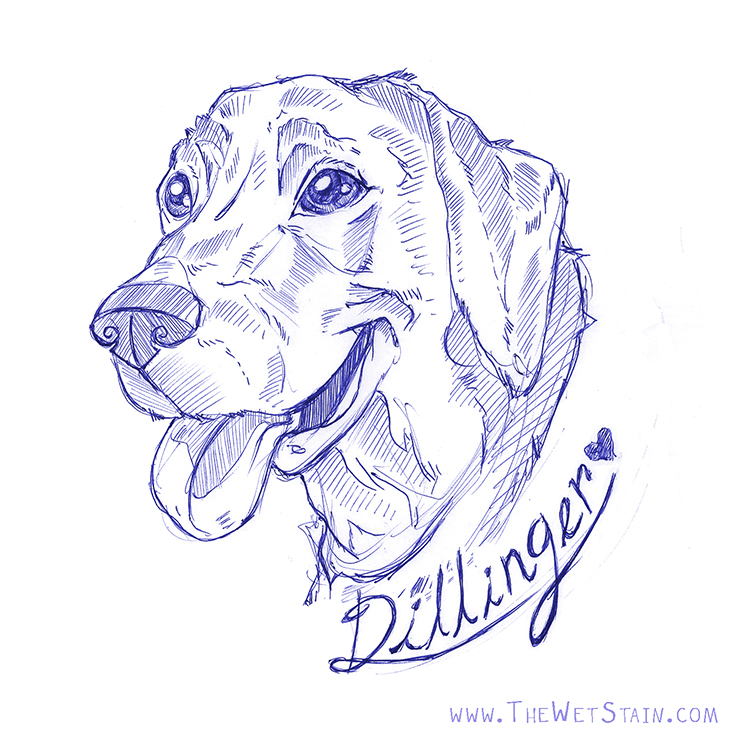 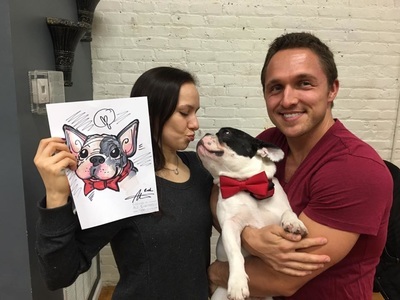 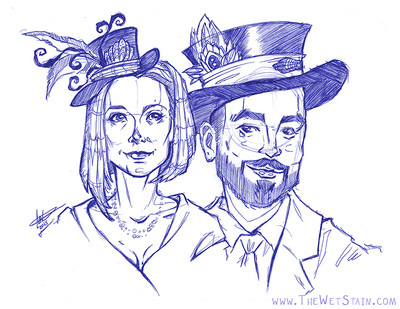 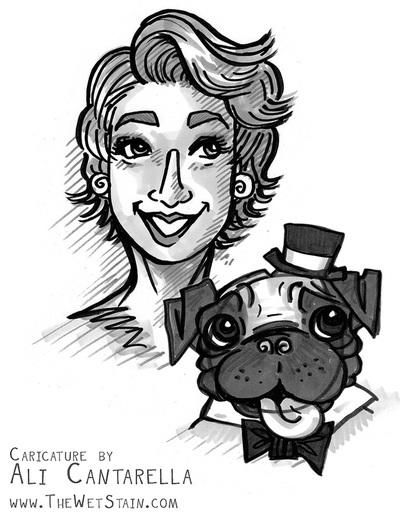 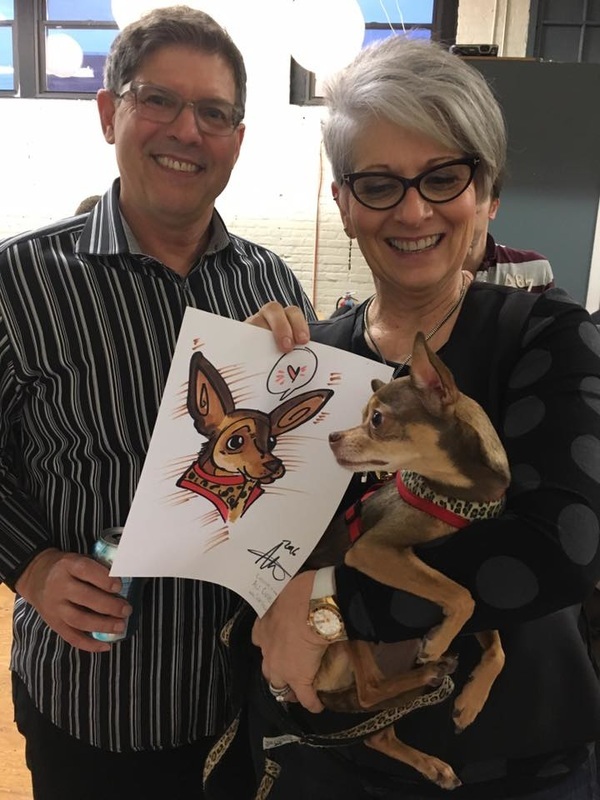 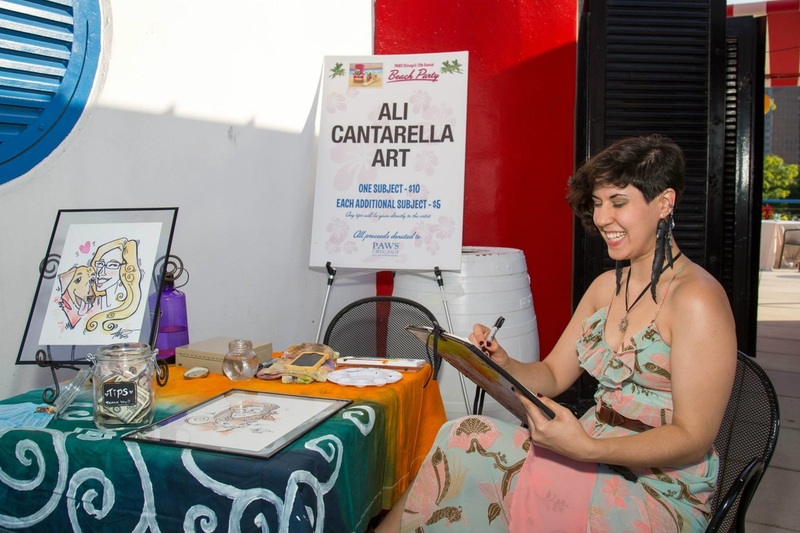 Having worked for such companies as PAWSChicago, Bucktown Arts Fest, and The University of Chicago, I would love to provide fun, flattering, and whimsical caricature services at your next party, wedding, birthday, or event! I am also available to do live-painting, as seen at Modern Luxury's Sneak Peak Soiree. 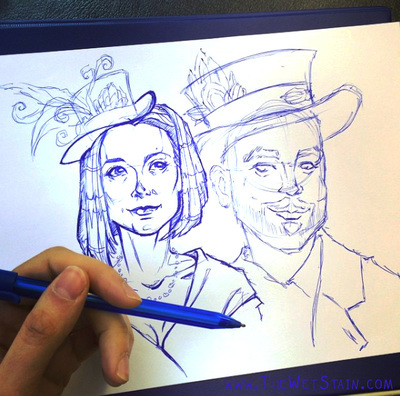 You can expect a charismatic and professional experience, with unique portrait take-aways that your guests will rave about. 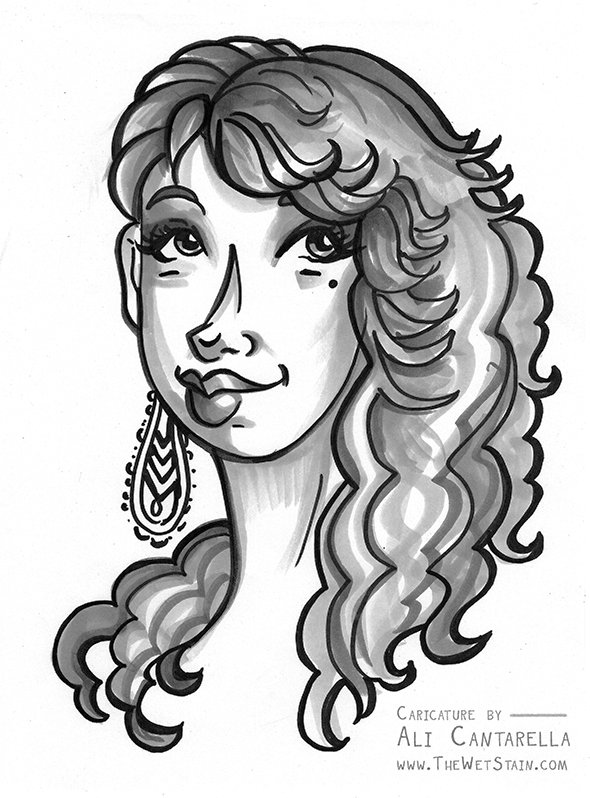 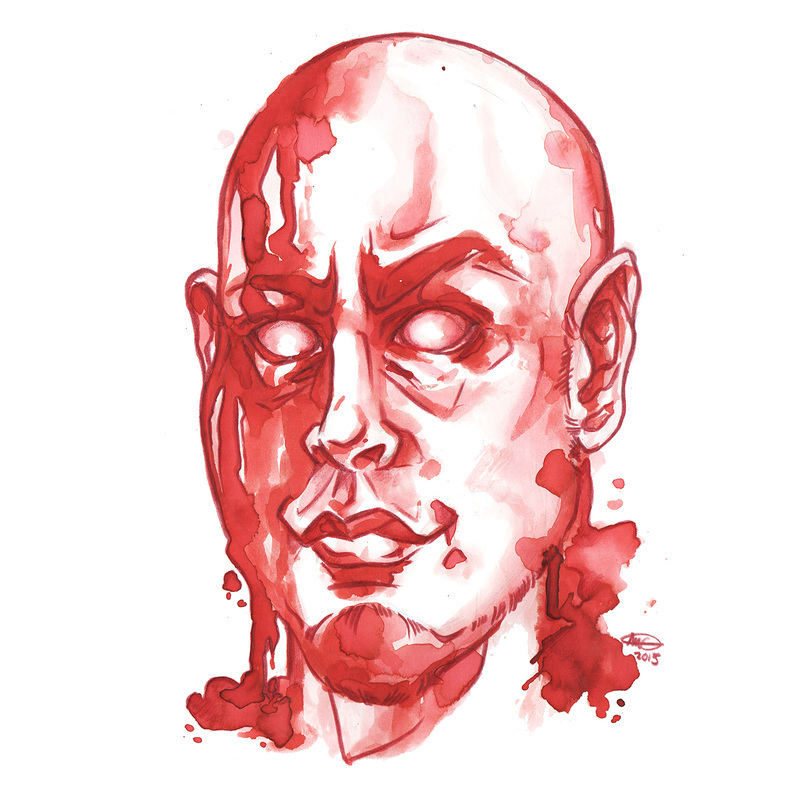 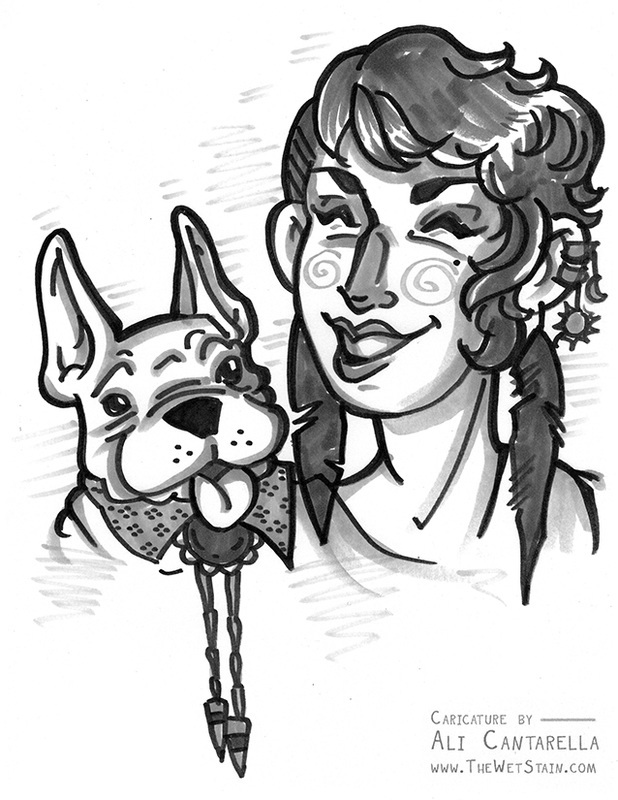 Please enjoy this gallery of my stylized caricatures, enhanced with watercolor and ink. 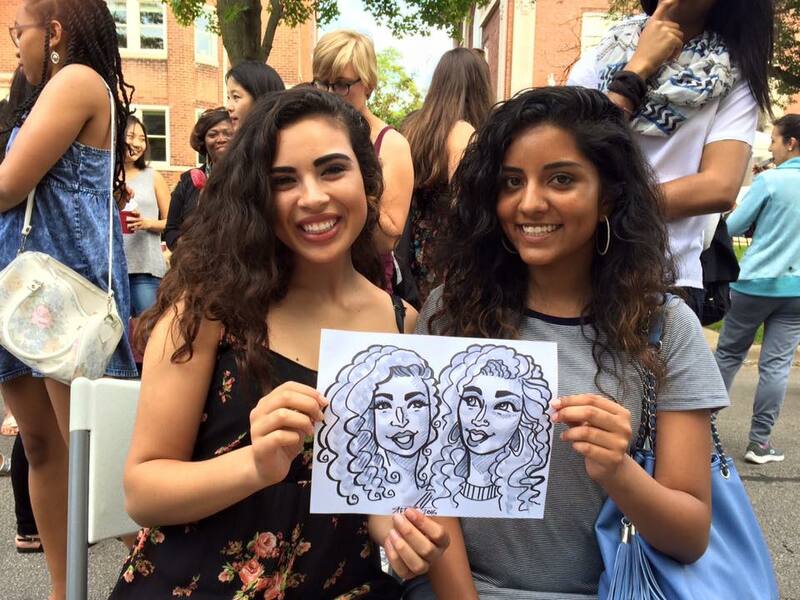 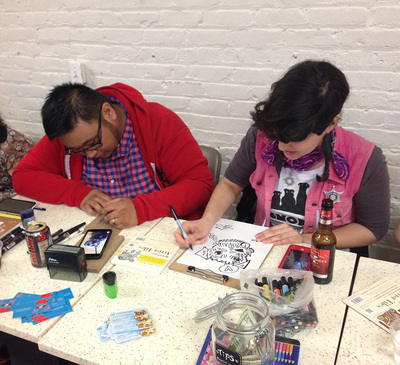 Live Caricatures or Live Painting events start at a rate of $150/hour, for a minimum 2 hour event. 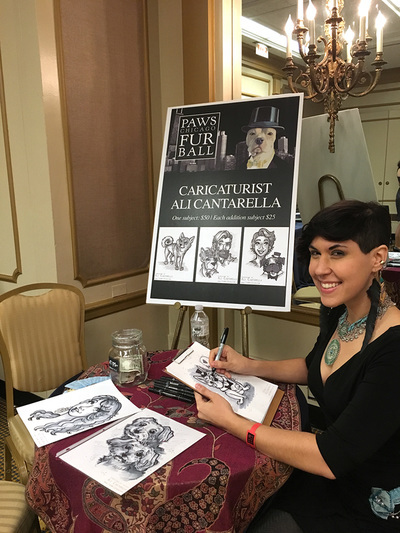 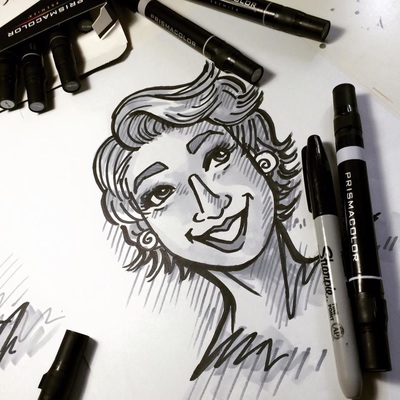 Please contact me directly at Cantarella.Ink@gmail.com to get started with a subject of "Live Caricature Artist Request" and any available details (dates, time, location) and I will be more than happy to get back to you within 24 - 48 hours with a response. 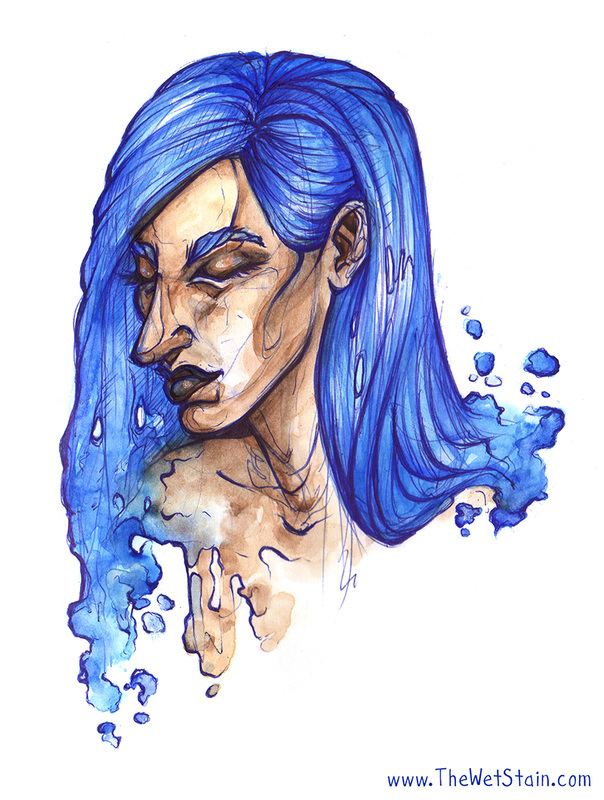 Don't see what you were looking for? Cantarella.Ink@gmail.com is your one-stop-shop for all queries. 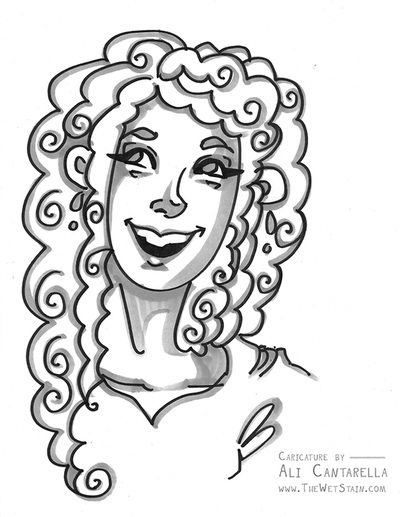 Hope to hear from you soon!